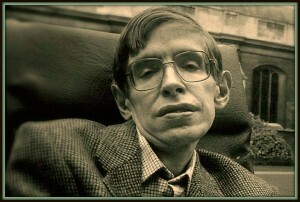 Theoretical physicist and cosmologist, Stephen Hawking, sits down for an interview with your FMObserver. Stephen Hawking: I invite you to set aside your present preconceptions of time and consider the possibility of creating multiple duration streams as a quantitative measure for the day when demand for increasing services excludes all other choices in the quest for total excellence. FMO: If a person ate themself, would they become twice as big or completely disappear? Stephen Hawking: Most people, other than myself, have closed their eyes to the possibility of facilitating cannibalistic social networking as long as a potential for double action becomes the prevailing outlook. FMO: What is the meaning of life? Stephen Hawking: My goal for this ultimate theoretical question is utilizing outside-the-box thinking as a technique of experiencing quantum holistic change while maximum opportunity rises to the surface in a sea of ever-shifting credibility for living. FMO: What’s the difference between good and bad? Stephen Hawking: Today is your lucky day. I can now tell you that factoring oblique statistical trajectories of good versus bad has an ever-increasing side effect while the good spectrum expands beyond the current expectational matrix of the bad. FMO: Does thought require language? Stephen Hawking: You may totally disagree with me on this, but I firmly believe in finding language mining opportunities as the most logical step toward being exquisitely focused on thinking to offset actual thought generation. FMO: How does a brain think? Stephen Hawking: It’s not in the industry journals yet, but I’m spear-heading a think tank project group for targeting individual brain advancement incentives as a regenerative move while component brain inter-dependency grows exponentially toward the cerebral future horizon. FMO: Is there a universal language? Stephen Hawking: A secret passion of mine has always been the restructuring of vertical and horizontal relationship communicational hierarchies in anticipation of the day when potential for action includes all possibilities while striving for complete transparency. FMO: Why do good jokes make people laugh? Stephen Hawking: During a recent sabbatical I came up with the idea of studying the effects of disproportionate humorous reactional access restrictions when the primary win-win relationship substantiates a laughable projection response. FMO: Is there intelligent life elsewhere in the universe? Stephen Hawking: I haven’t divulged this to the general public yet, but I’m in the initial stages of enlisting top-down organizational life-finding strategies as a protective measure for the day when demand for increasing universal services continues onward into unknown alien worlds.